Home Virat Kohli New Zealand Virat Kohli rested for last two ODIs and T20I series vs New Zealand, Rohit Sharma to lead ! Virat Kohli rested for last two ODIs and T20I series vs New Zealand, Rohit Sharma to lead ! Virat Kohli, who has played non-stop over the past several months, has been rested for the last 2 ODIs and T20I series vs New Zealand. Virat Kohli has been rested for the final two ODIs against New Zealand & the 3 match T20I series. Rohit Sharma will lead India in Kohli's absence and no replacement has been named. 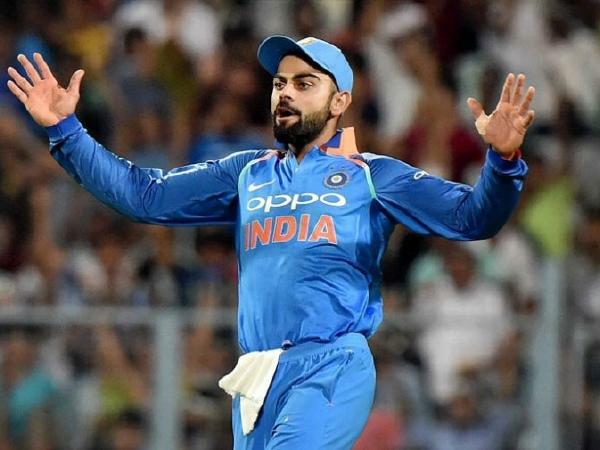 Kohli had last been rested for the Asia Cup following India's tour of Ireland and England where he had played all five T20Is, all three ODIs and the entire 5 Test series where he scored 593 runs. Kohli returned to lead India in the home series against West Indies before embarking on the tour of Australia. Kohli featured in all T20Is, 4 Tests and 3 ODIs. In New Zealand, Kohli will play three ODIs but will be rested for the 4th and 5th ODIs and the T20I series which follows immediately. After the tour of New Zealand, India will host Australia for a limited-overs tour. The Indian Premier League has also been advanced because of the World Cup which starts in England on May 30. India will be playing a 2 match T20I and 5 match ODI series against Australia at home from February 24. Kohli had been in fine form in India's historic Test series win in Australia. The India captain scored 282 runs, including a valiant hundred in Perth, from 4 Tests. He became the 1st India captain to lead the Asian giants to a Test series win on Australian soil. Kohli also scored a ton in the 3 match ODI series, which India won 2-1. On Tuesday, Kohli became the first man to sweep all three ICC awards when he won the ICC ODI Cricketer of the Year, Test Cricketer of the Year and Cricketer of the Year.